Dark Hall Mansion kicks off a new year of limited edition prints with two distinctly different Be My Valentine, Charlie Brown designs, going on sale Wednesday, February 5. Drawn by artist Lorelay Bove (making her first contribution to the line of Peanuts prints), the standard edition evokes the 1975 television special's opening credits and a couple of key scenes with an appropriately pastel palette. 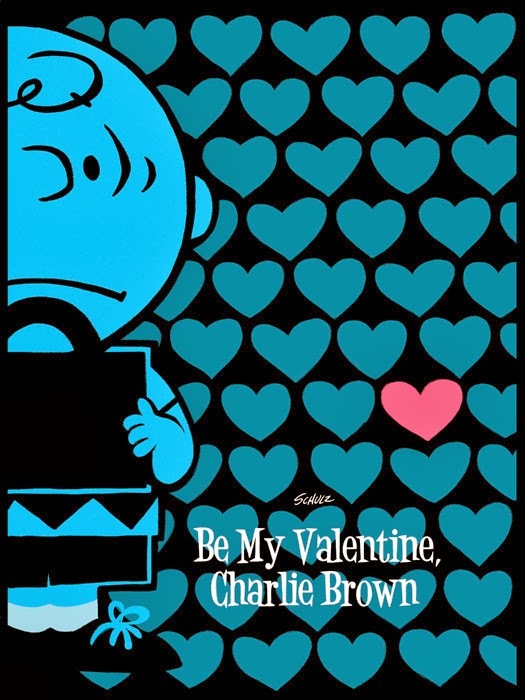 The contrasting variant print has a simplicity similar to Schulz's artwork for the comic strip, while still capturing the essence of the show's (and the strip's) somewhat maudlin take on Valentine's Day. 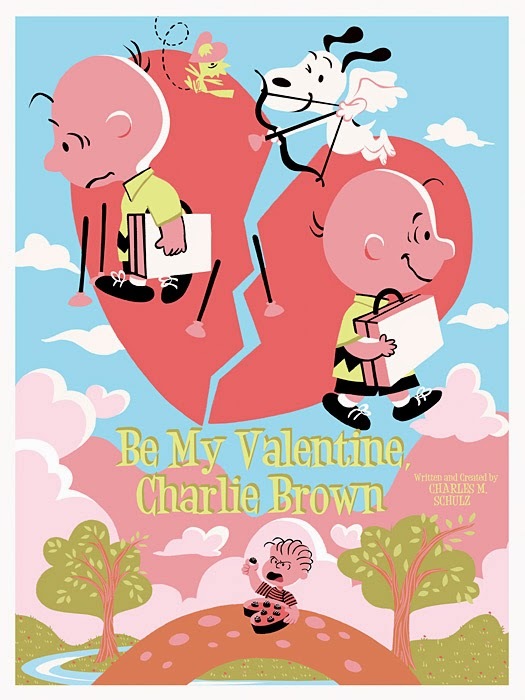 The Be My Valentine, Charlie Brown prints go on sale Wednesday, February 5, 2013 at at a random time between 9:30 AM and 11:30 AM (Pacific time) at Dark Hall Mansion's webstore. Dark Hall Mansion says they'll be shipping out the prints immediately so they'll arrive in time for Valentine's Day.